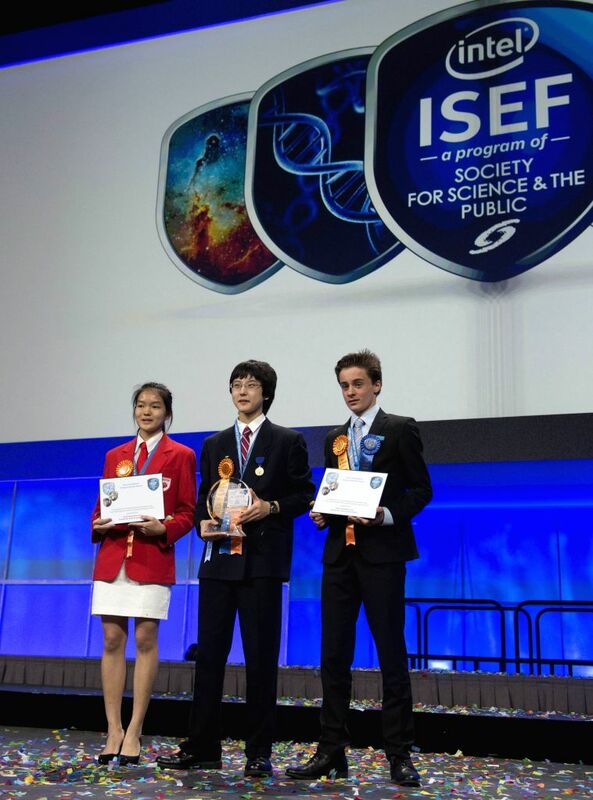 LOS ANGELES, May 17, 2014 - The Gordon E. Moore Award winner Nathan Han (C), Intel Foundation Young Scientist Award winners Lennart Kleinwort (R) and Shannon Lee receive their awards during the award ceremony of Intel International Science and Engineering Fair (Intel ISEF) in Los Angeles, United States, May 16, 2014. Nearly 1,800 of the world's most promising young scientists, engineers and mathematicians gathered in Los Angeles from May 11 to May 16, to participate in the world's largest pre-college science competition, the 2014 Intel International Science and Engineering Fair. 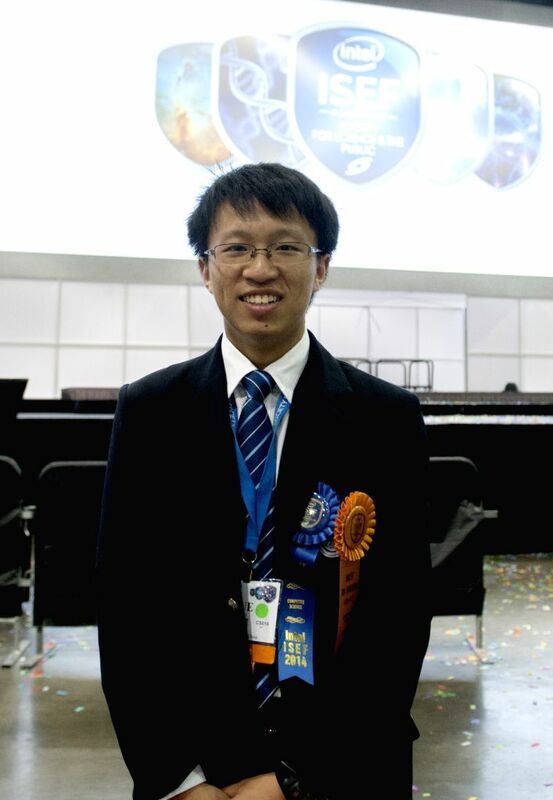 Intel ISEF Best of Category Awards winner Yao Yue from China poses for photos during the award ceremony of Intel International Science and Engineering Fair (Intel ISEF) in Los Angeles, United States, May 16, 2014. 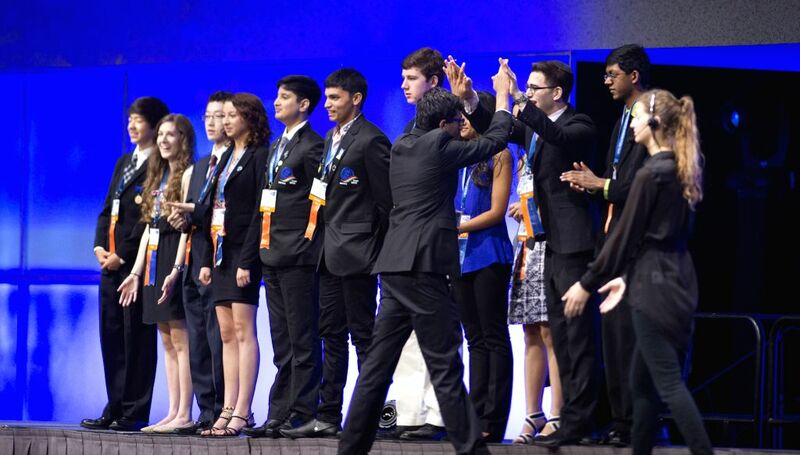 Award winners celebrate on the stage during the award ceremony of Intel International Science and Engineering Fair (Intel ISEF) in Los Angeles, United States, May 16, 2014.